An advanced robotic surgery machine. Advantages of robotic surgery are precision, miniaturization, smaller incisions, decreased blood loss, less pain and quicker healing time. The 17th annual UCHealth Memorial Gala will take place Friday, May 4, at The Broadmoor. Proceeds from this year’s gala will support the expansion of the UCHealth Grandview campus to include a state-of-the-art medical office building, and establish a home for the new UCHealth Orthopedic and Spine Center – Colorado Springs. 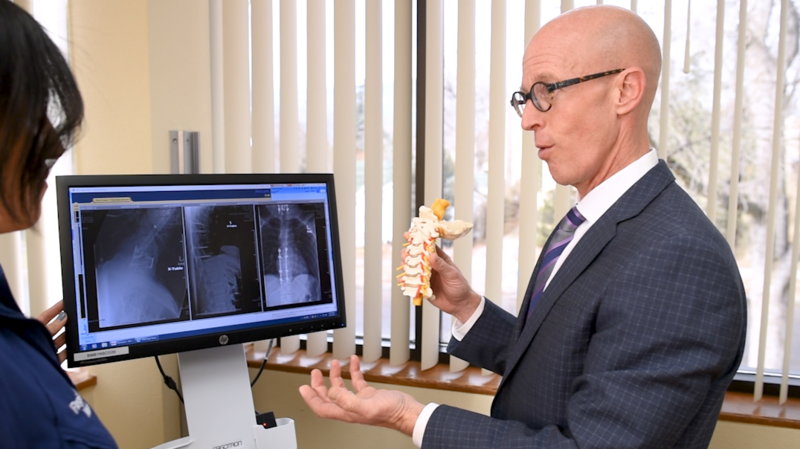 Dr. James Duffey, a sports medicine and joint reconstruction surgeon at UCHealth Memorial Hospital, said Colorado Springs has been voted a top place to live for its natural beauty and amenities. “If you look at Colorado Springs, just as a community, we’ve been voted the top place to live. Our growth is phenomenal here, and as a medical community the task is, we need to keep up with that,” Dr. Duffey said. The new center will serve orthopedic and spine patients, improving access to care for southern Colorado residents. From labs to surgery, followed by physical therapy, all services will be available on the Grandview campus. “It brings all those services together in one location,” said Duffey. Funds raised at the gala will help to build this new center. Attendees will enjoy delicious cuisine and The Broadmoor’s fabulous atmosphere, as well as silent and live auctions for great gifts and vacation packages. Buy your tickets today, and celebrate with the people who are improving health care in our great city. Neurosurgeon Dr. Todd Thompson emphasized the importance of advancing care in Colorado Springs for patients. “Some of those patients have really significant injuries, and even though they’re stabilized in the hospital, they’re still not in a condition where they need to travel for long-term follow up. Their stay in the hospital is the first step in their rehabilitation, but they’ll require multiple visits after their surgery; they’ll require physical therapy and ongoing care. Those are all services we’d like to provide right here in Colorado Springs,” he said. To make this year’s event especially unique, the foundation has invited Daniel Dunn, a painter/entertainer who has been featured on the Jimmy Fallon show and has entertained millions of people worldwide with his unique approach to painting beautiful canvases in an interactive way, making everyone a part of the show. Dunn’s one-of-a-kind pieces will be auctioned during the gala. Tickets for the gala are now available for purchase. Order them today and support the future of health care in southern Colorado.